There are oodles of benefits to a safe workplace, from cost savings via increased efficiencies to a happier, more engaged and productive workforce. The lack of a commitment by management to safe practices can be costly, though, with dire consequences which may include jail-time for company officers if a fatality were to occur on their watch. Since safety is so crucial, Safety Spot has developed three great ways to improve your company‘s safety profile. It is essential for management to grasp workplace safety isn’t a wasted expense but a valuable tool for increasing production and profits while reducing costly turnover and downtime. Employees know when the bosses “have their backs” or just deliver lip service about safety and respond accordingly. If your management team isn’t creating a culture of safety, it’s damaging it. Subtly reinforces in your workforce the belief they are important to the company. Identify safety gaps in your operations which can be addressed to prevent future accidents. Post-injury meetings illuminate tasks which have a high percentage of risk just by sheer repetition. For example, if previous meetings revolved around strained backs from lifting a case of copy paper, a new protocol for moving heavy copy paper boxes will become apparent. A discussion following every injury incident, however slight the injury, makes it clear to everyone in the company that unsafe practices are not condoned. Helps prevent rookie safety errors causing downtime since studies show workers with less than a year’s service are three times more likely to be injured than more experienced people. Training software can be customized to include special protocols your company has developed for their unique situations. 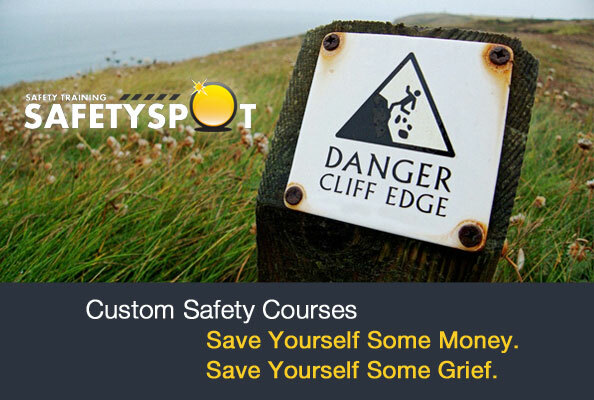 Safety Training is becoming a new millennium must-have for all liability-conscious companies. This is one area of your business that can hurt you the most if not done properly should a fatal incident take place.